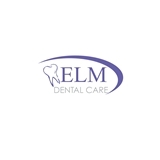 Elm Dental Care (Saint Charles) - Book Appointment Online! We believe that the best dentistry can be an enjoyable experience. In order to help give you lifelong oral health, we will teach you preventive techniques that are designed to improve the health of your mouth and teeth so that you can have more positive experiences with the dentist. When treatment does become necessary, we can help make sure you remain comfortable, calm, and relaxed every time you visit us. To further help those with anxiety, we offer sedation dentistry as needed. To help improve your smile and eliminate any oral health problems. Considering all the procedures they had to do last night, I feel it went very well and they were excellent at managing the time. 1.5 hours for having 2 teeth pulled and full impressions, prep and a temp cap is incredible. In addition to be able to have this done after work was extremely convenient. I highly recommend all involved in my journey to better dental health! Thank you! !